Chances are you haven’t heard about Quality Cable, a band made up of students from the University of Louisville’s School of Music. With less than 200 monthly listeners on Spotify, the band has already released three albums. The third, Paper View, was released this month. “Paper View has four new songs, and will really explore the reaches of our style more than before. 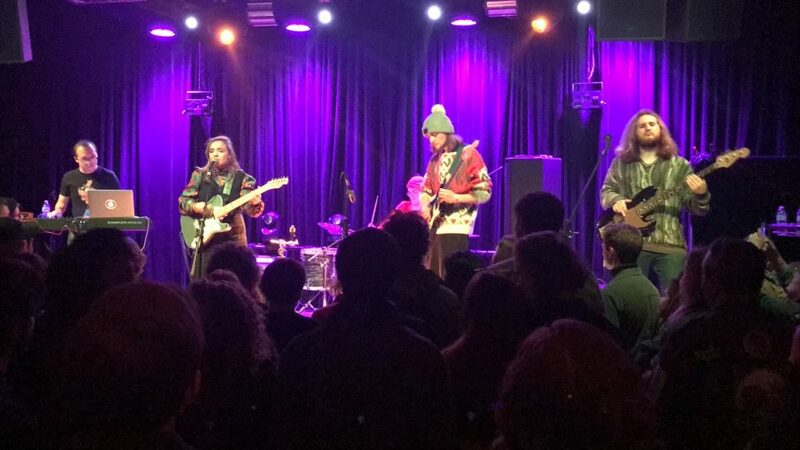 We dip more into the psychedelic, the surf rock, and the dream folk depending on the song,” junior music composition major William Lamkin said. After freshman orientation, most people don’t stay connected. However, it was during their orientation that Emma Treganowan (guitar and lead vocals) and Lamkin (keys) met. “We quickly bonded over our shared taste of music. We would jam out a lot playing covers and coming up with band names for fun,” Lamkin said. The following year, Treganowan, a junior Classical Guitar Performance major, pushed for a real band to form. Soon, Sam Kernohan (bass), Fiona Palensky (drums and vocals), and Andrew Ramsey (guitar) joined the ranks to fill out the remaining instruments. The indie-rock band’s zesty, dreamlike sound is created through unique collaboration. “Lately we’ve been a really ‘music-first’ kind of band. We jam out and figure out a vibe from there. We try to make tracks that we both have fun listening to and playing ourselves,” Lamkin said. From a lyrical standpoint, Treganowan has the most experience in writing composition. Lamkin also recounted how the band’s first show in late 2017, a house show at UFO House, was nerve-racking. Quality Cable can be found on all streaming platforms. Be sure to support local artists by buying their music on iTunes and Bandcamp. If you want to stay connected and know when more music is coming or where they are performing, the band is also on Facebook and Instagram at @qualitycableband.